This program provides alternatives and options to people with serious mental illness who become involved in the criminal justice system. The purpose of Mental Health Diversion is to assist people who are considered appropriate for diversion to access and use mental health and other community services and supports. Linking people to short and long-term services and supports. Support and information for family members and/or significant others. Education about consumer issues, mental illness, mental health services, and the mental health system. Consultation for people who are not deemed suitable for diversion. As well, staff will provide consultation and advice to the judiciary on cases referred for diversion. The Mental Health Court Worker (MHCW) will arrange to meet the person to assess his or her situation and needs. This will include an assessment of the person’s mental health status, their current living situation, and linkages to psychiatric and other supports. Following the assessment, the MHCW will make recommendations to the person about what services might be appropriate for the development of their diversion plan and then obtain the approval of the Provincial Crown Attorney. A diversion plan could include psychiatric assessment and treatment, short and long-term community supports and resources to meet basic needs (shelter, food, clothing, and financial entitlements). Mental Health Court Diversion is for individuals who have a serious mental health problem/mental illness, who have been charged with committing a low-risk offence, who accept mental health diversion, and who are accepted for diversion by the Provincial Crown Attorney. To provide intensive case management services to individuals who are not eligible for mental health court diversion. MHCSS Intensive Case Management provides service to adults with a serious mental illness and/or a developmental disability that come into conflict with the criminal justice system as a result of having a psychiatric disability. To provide short term, intensive case management services to individuals with a serious mental illness who are being released from correctional custody, in order to facilitate a stable transition back to the community, reduce recidivism, and enable a recovery- focused lifestyle. The Release from Custody Program provides service to Individuals with a serious mental illness and/or a developmental disability who come into conflict with the criminal justice system as a result of having a psychiatric disability. 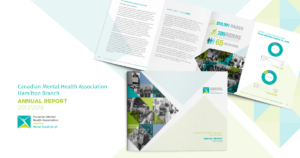 CMHA Hamilton's 2017/2018 Annual Report is now available.